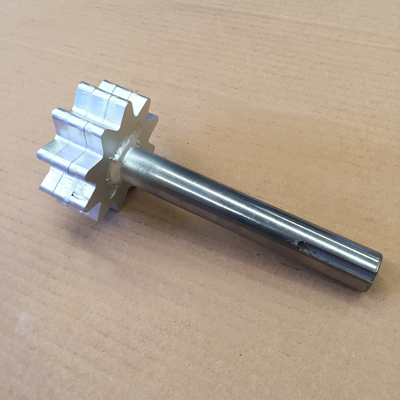 WE SUPPLY ALL DIY COMPONENTS you require to manufacture your own Auger. 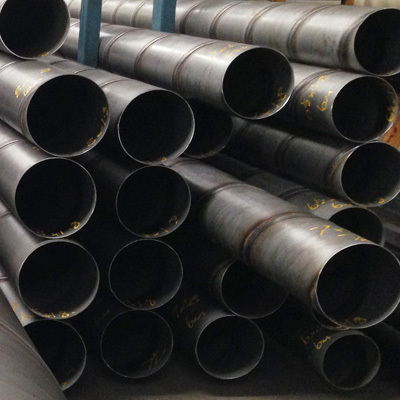 Check out the condensed catalogue of Pipe, Bearings, Laser Cut items, Poly and Machined Products below. Need something that’s not on the list? We may be able to source it for you! Ready to order? Send us an email or give us a call! 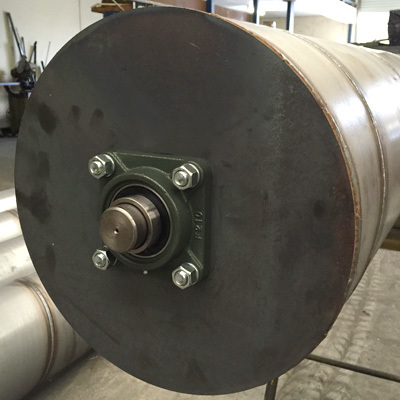 4″ OD through to 24″ OD, up to 3mm thick in MS. We also roll 2mm SS304. Click HERE for more info. 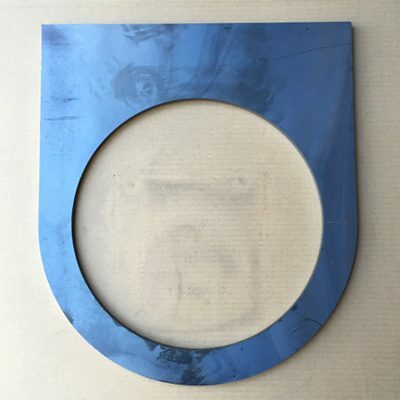 U trough modules are pressed to order and available in almost any size. Available with or without lid. 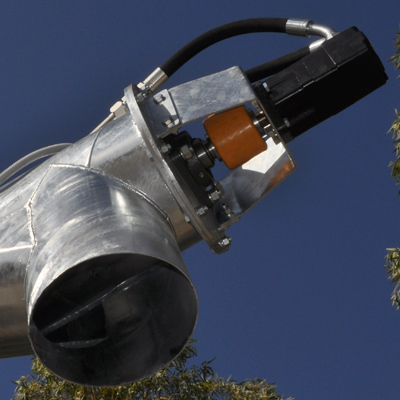 We are the largest stockist of continuous flighting in Australia. Click HERE for more info. Segmented Flights are available in almost any size or thickness you can imagine. Click HERE for info. 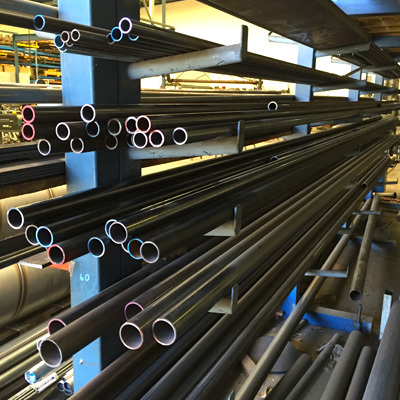 We stock CHS Black NB Pipe in 6.5M lengths and can usually source any sizes we may not have in stock. 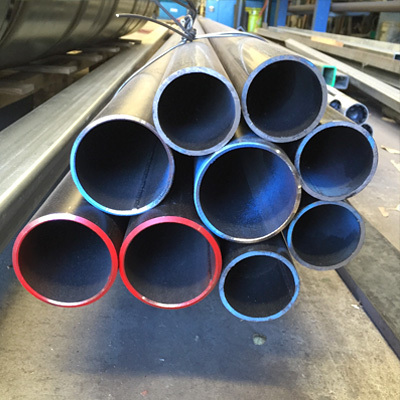 We supply full & half lengths. 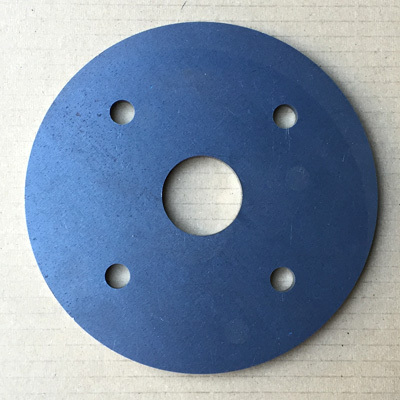 We stock a good range of MS laser cut flanges, endplates and other laser cut items that fit our barrel sizes. Stainless Steel is available by order. Designed to fit our Barrel Sizes. 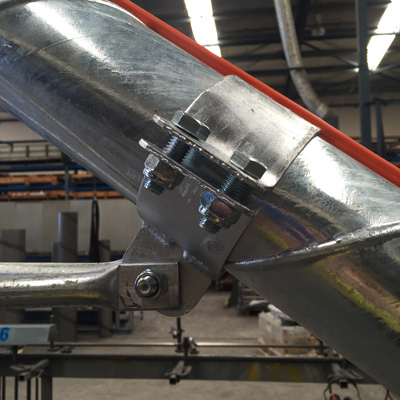 Example of Use: Flange welded to the end of barrel for use with a Bolt On Removable Endplate. 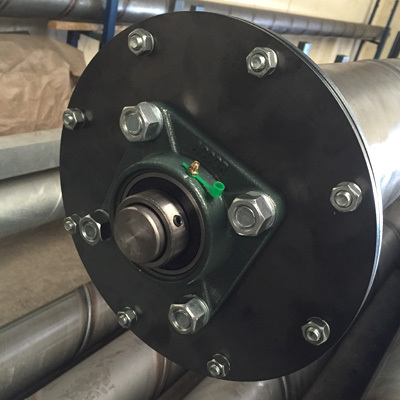 Example of Use: Joining Flanges used to bolt 2 pieces of barrel together. 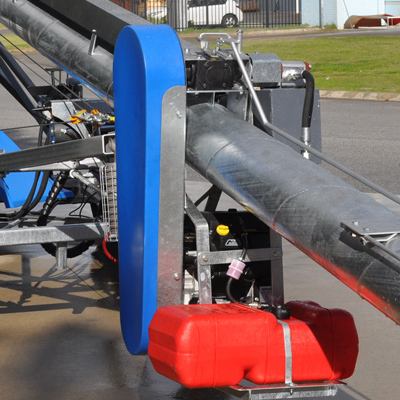 Great for transport purposes and ensuring you have a perfectly straight auger when joining two pieces of barrel. 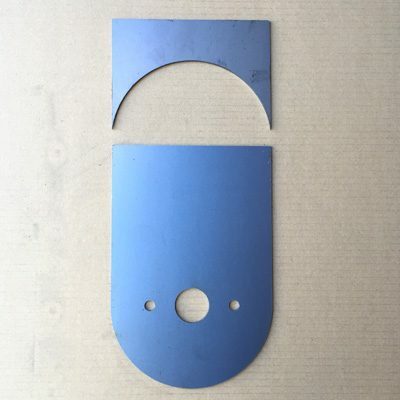 Designed to bolt onto our Laser Cut Endplates, with Bearing Assembly Footprint to suit the auger size. 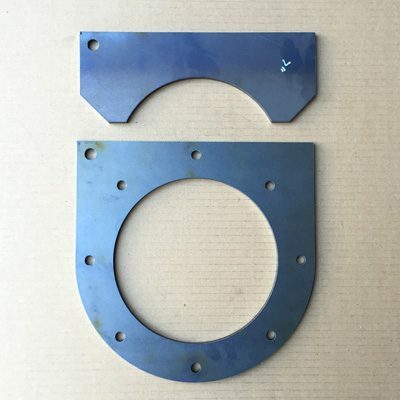 Example of Use: Removable Endplate Bolted onto Flange with Bearing Assembly, enabling auger to be pulled out for maintenance. 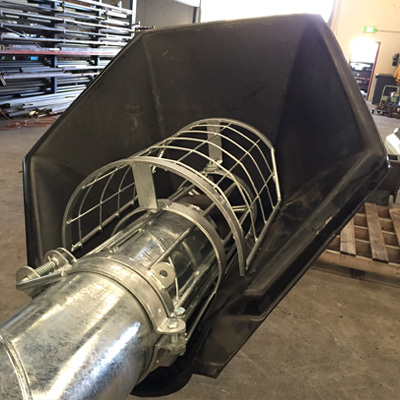 Example of Use: Fitted to a 13″ Auger with custom metal safety guard cover. 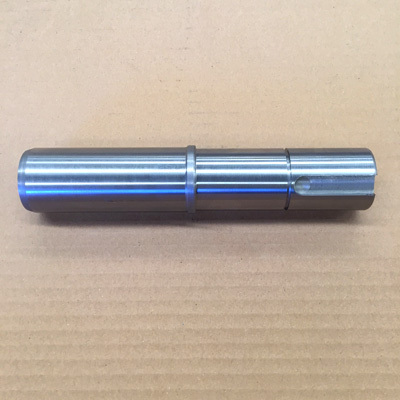 Designed to match our Barrel Sizes with Bearing footprint to match auger size. 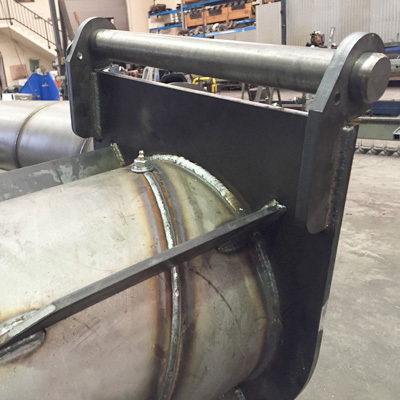 Example of Use: Welded on the end of the barrel in which the auger does not need to be removed. 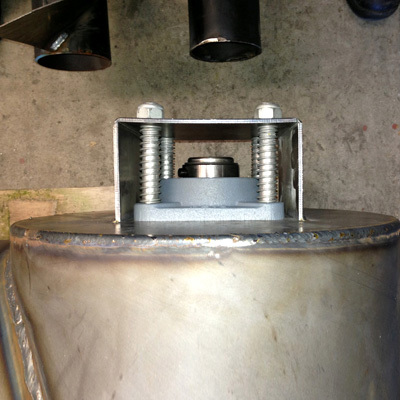 Weld on endplate with bearing footprint and matching crescent plate to cut into barrel & DIY Hopper inlet. Can also be used for an outlet shute. Example of use: Shown here on a remanufacture of a Coles Seed n Super Auger. 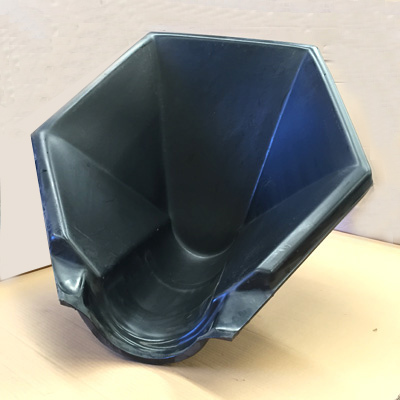 Designed to match our smaller barrel sizes, typically used in Seed N Super Folding Augers. 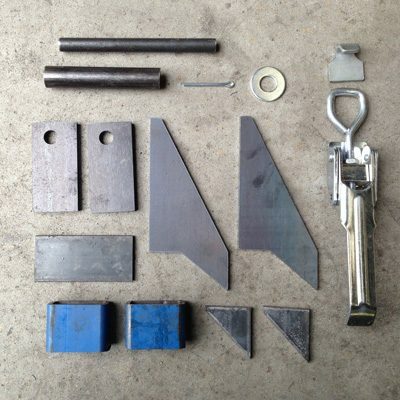 Components required to DIY basic hinge for folding plates. Designed to match our larger barrel sizes and laser cut out of heavy plate. Typically used in Folding Chaser Outloaders. 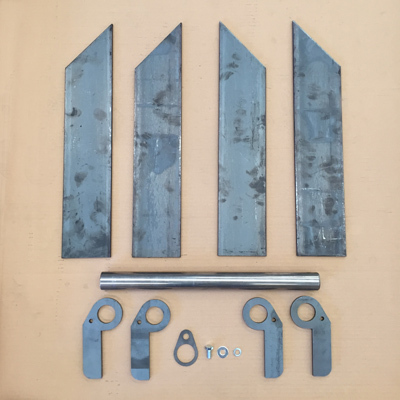 Components required to DIY Hinge & Fit Large folding plates. Example of use: Hinge assembly shown on one side of a 12.5″ Folding Auger. 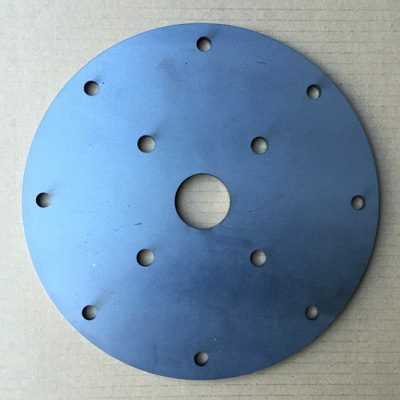 This square top flange and crescent plate are great for making electric motor mounts. 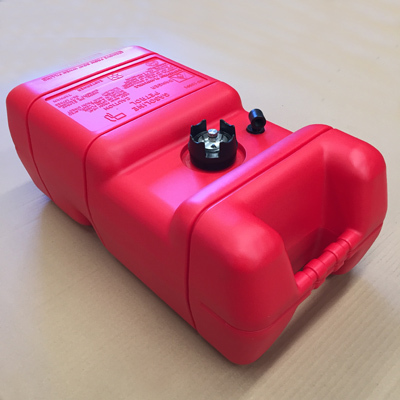 Available with or without motor plates. 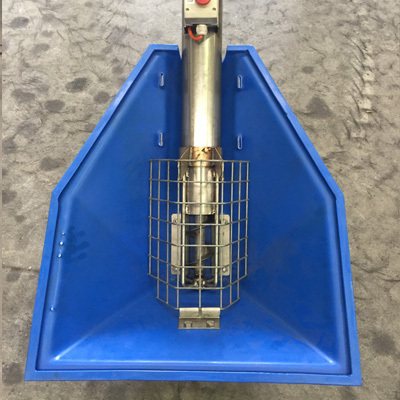 Example of use: Shown here with electric motor, teardrop endplate & safety cover on a 5″ Pencil Auger. Laser cut to fit our pressed troughs. Square base acts as feet for the auger. 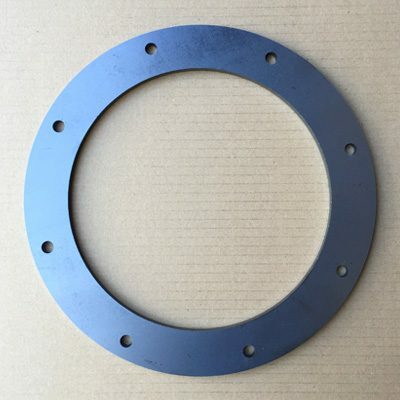 Matching Endplate with bearing footprint also available. 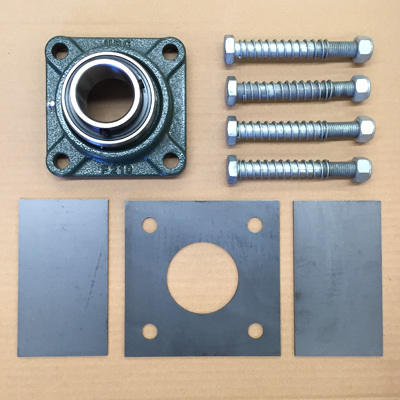 Example of use: Trough with Galv Lid shown here with Flange, Bolt on Endplate and Bearing assembly. 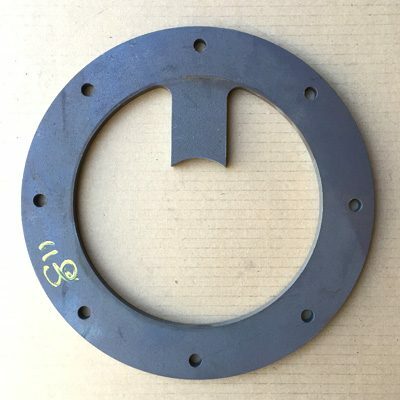 Either a bronze bush or split housing assembly can be attached to this flange to create a hanger bearing, sandwiched between two joining flanges. 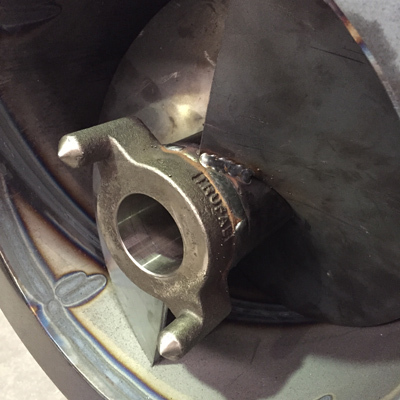 A Bronze Bush pressed in MS Housing has been welded to the flange and then machined in Lathe. Example of use: Shown here with square top & lug holes. The bolt in spigot joins the next auger & times the flighting. 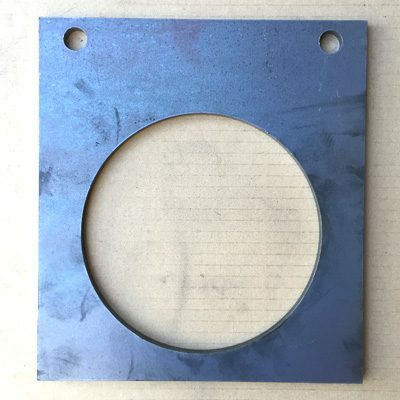 Plate can be supplied for DIY or in pre-made form with bolt on Endplate. 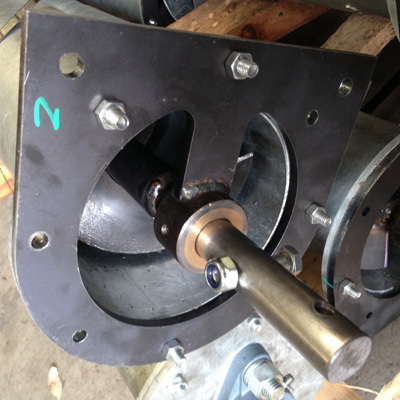 Example of use: Shown here fitted with hydraulic motor & chain coupling. Available to suit a variety of barrel sizes. Perfect for DIY Framework or undercarriage. 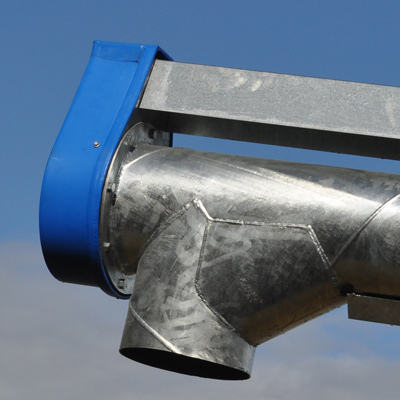 Example of use: Shown here fitted to a 4″ Galvanised Auger. Laser cut to fit 15″ or 16″ Landcruiser Rims. 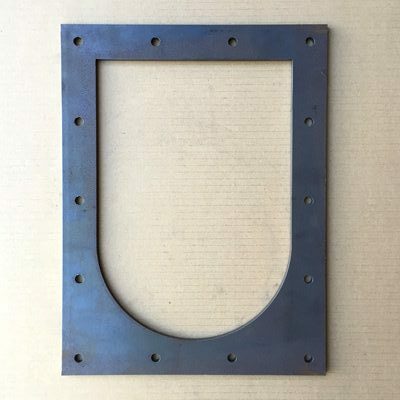 Example of use: Laser Cog plates are welded together and machined flush. Suits 1″ drive. 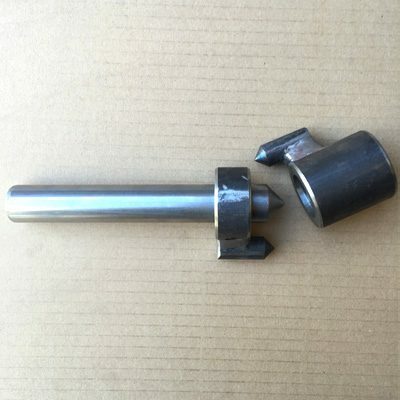 We machine spigots and stubs and other miscellaneous items at our premises as required. In Augers the terms “Spigots” & “Stubs” are interchangeable. 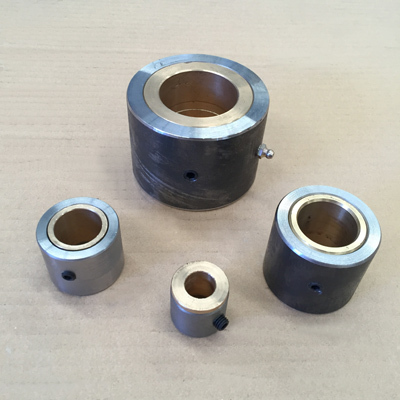 We can offer recommendations of bearing & drive size, or follow customer specs. 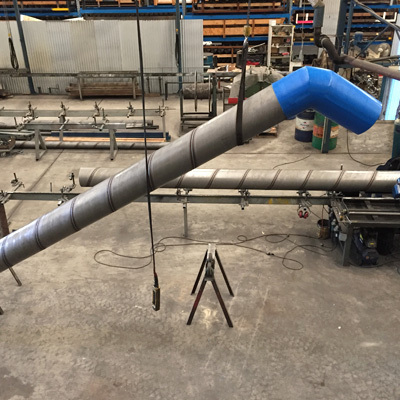 Most spigots are machined to be a tap in fit and sometimes a flat will need to be ground onto the spigot surface to enable it to clear the weld fin found inside CHS pipe. Below are some examples of what we can provide. 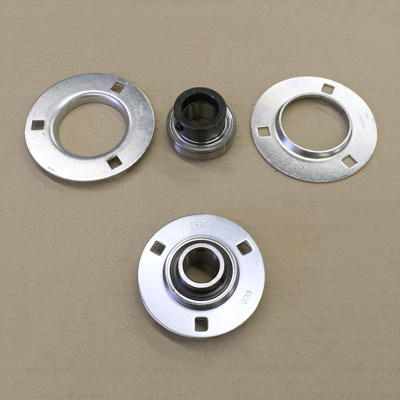 This example includes a Drive surface with Keyway, Circlip groove and Bearing surface plus machined end to fit inside Pipe. 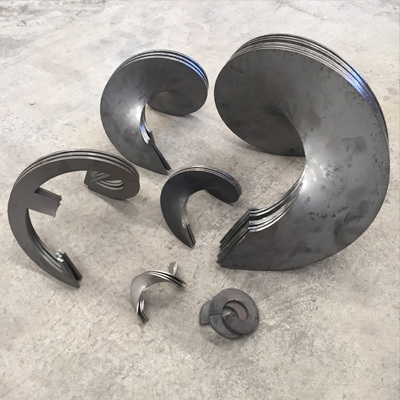 Also known as a tail stub, or end stub, this typically is a centralising end for the auger and sits in a bearing or bush. 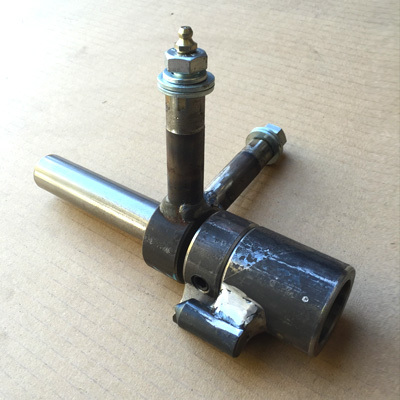 Machined out of Solid or Hollow Bar this spigot joins two pieces of pipe keeping them straight when making a longer auger. 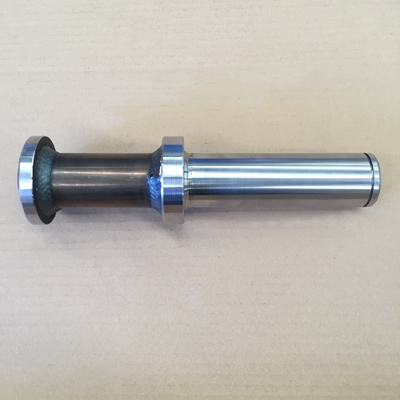 Machined out of solid bar with one longer end suitable for drilling through pipe and joiner when fitting. 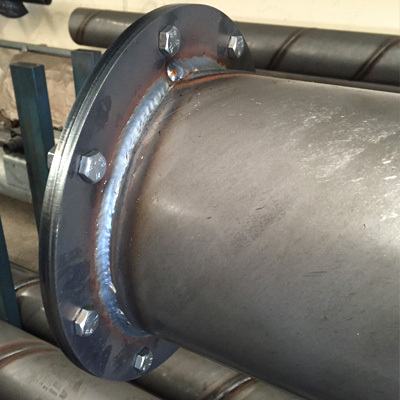 Spigots to suit larger pipe diameters are often manufactured using weld on collars (turned true) to save on time and costs of turning down solid bar. 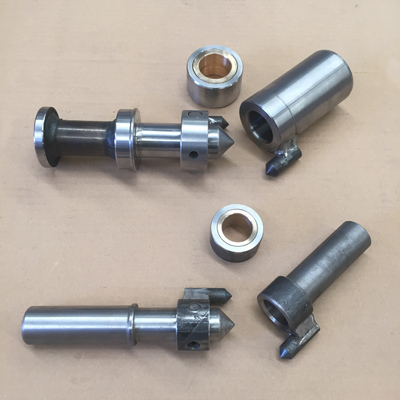 Used in conjunction with our sliding bearing assembly these end stubs are used on large folding augers which require the top auger half to be able to move up before engaging. 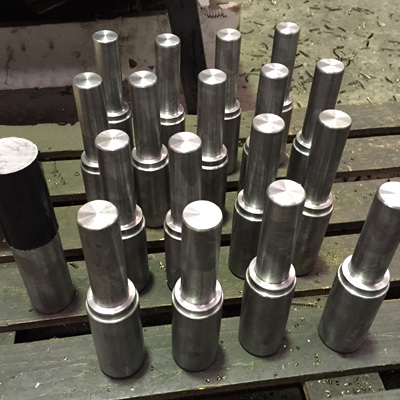 Machined Drive spigots with thrust surfaces ready for keyways. 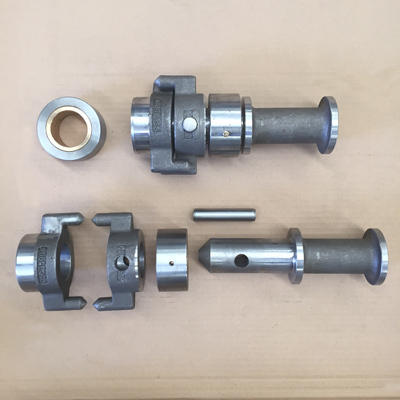 Stainless and MS Couplings machined to customer specs. 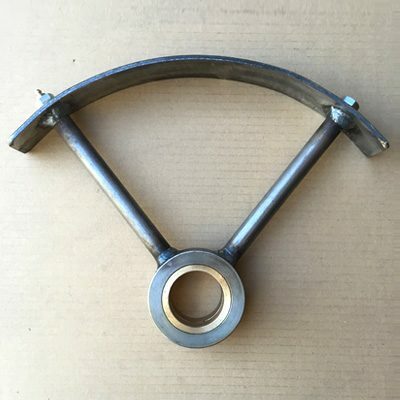 Centralising bush used in augers with a cage frame at pickup end. 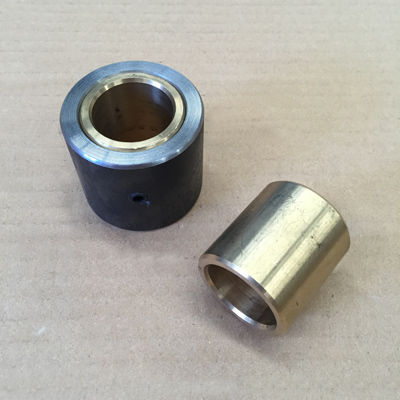 Bronze is held by grub screw with replacement bushes available. 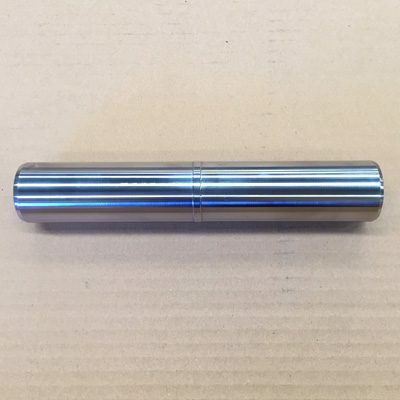 Available in a variety of sizes or machined to order. 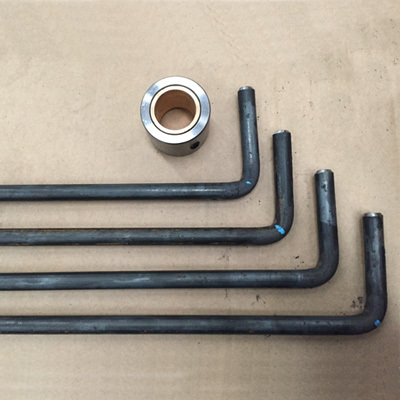 We can supply a basic kit for you to DIY cage frame. Includes Bush and arms to suit size of barrel. 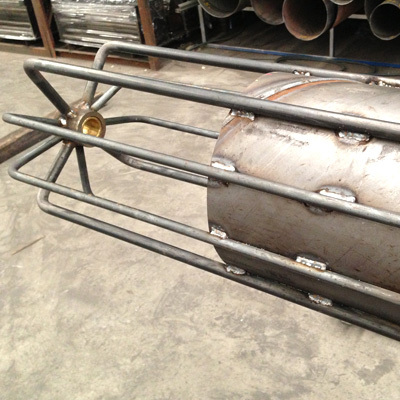 Example of use: Basic inner cage frame kit fitted to a 9″ Auger. Male & Female Clutch halves to engage top flighting on folding augers. Good for Coles Seed N Super Augers. 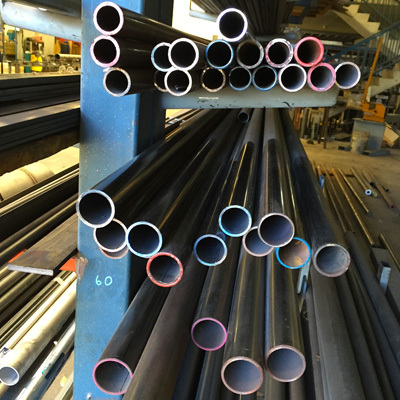 Suits 25nb Hvy pipe. 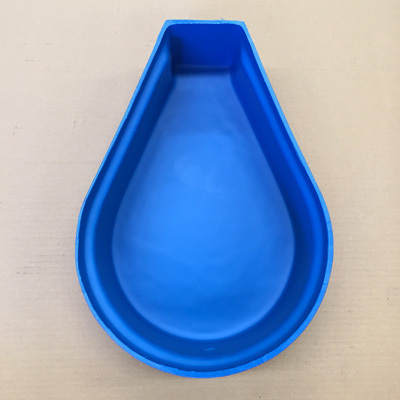 Typically stocked & Manufactured to suit our 6.5″ & 7.5″ Barrel. 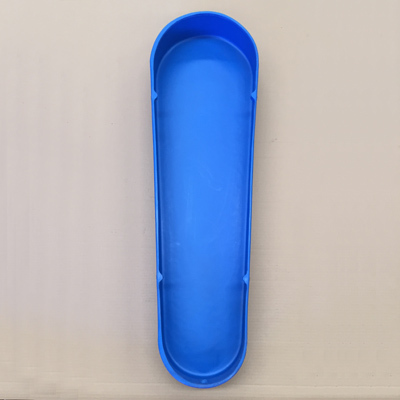 Complete Small Dog Clutch Assembly with Greaseable Hanger. 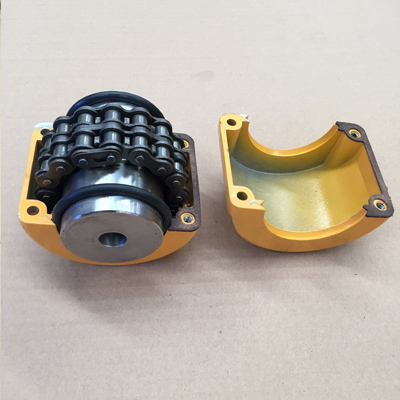 Example of use: Dog clutch assembly with Hanger fitted to a remanufactured Seed n super auger. Used to engage top flighting on folding augers. 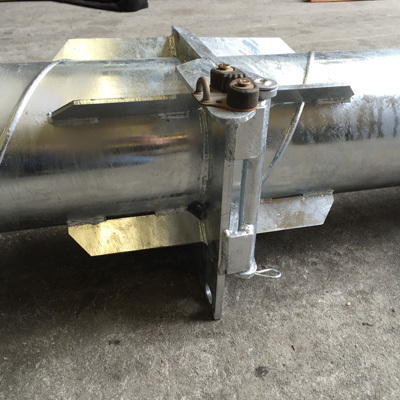 Manufactured in house to suit 40nb, 50nb & 65nb pipe with a bronze bush pressed in MS housing to DIY hanger. 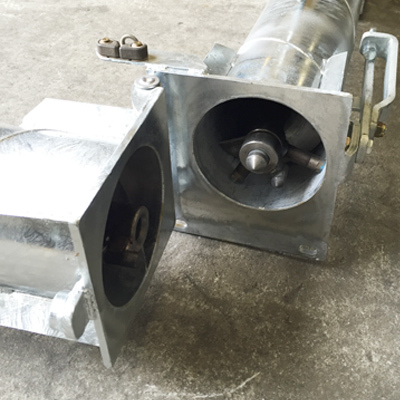 This Trufab Brand Cast Clutch suits 80nb Pipe and has a matching 2″ Bronze Bush pressed in MS Housing to DIY Hanger. 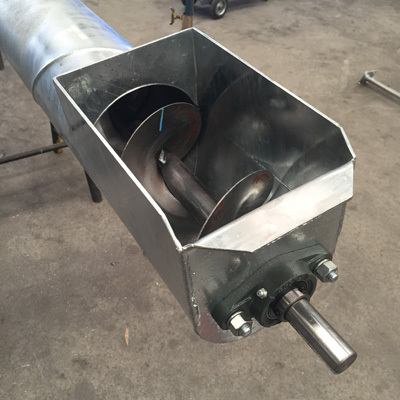 Example of Use: Trufab Male Clutch half and Greaseable Hanger Bush fitted to a 12.5″ Chaser Bin Outloader. 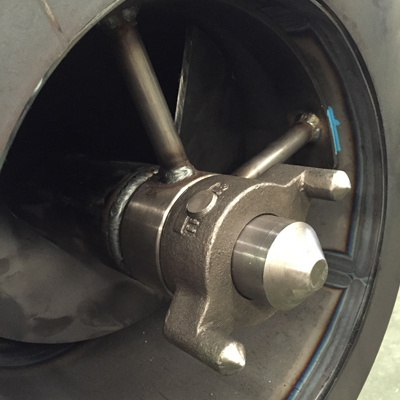 Example of Use: Trufab Female Clutch half fitted to a 12.5″ Chaser Bin Outloader. 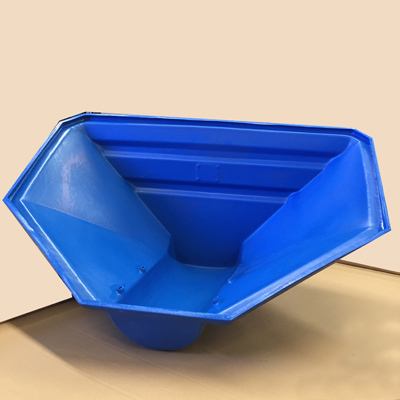 This Trufab brand Greaseable Bush can be supplied to DIY hanger in a folding outloader or floor auger application. 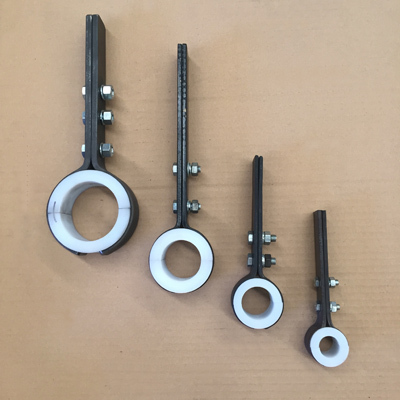 We manufacture these large greaseable hanger assemblies to match our barrel sizes so all you need to do is drill into your tube and bolt it in. 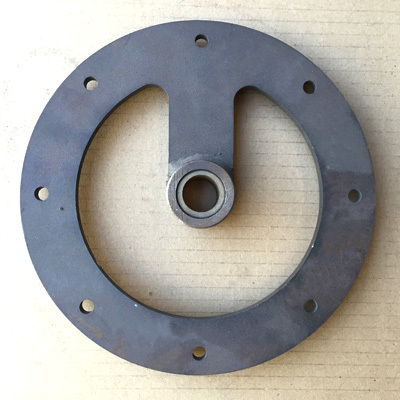 Used at the top of folding chaser outloaders this bearing, plate, bolt & spring set enables movement of an F210 assembly to allow ease of engagement at the dog clutch. 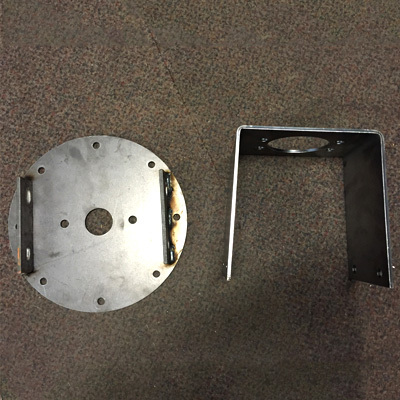 Example of use: Spring Slider Kit shown assembled on 12.5″ Chaser Outloader. 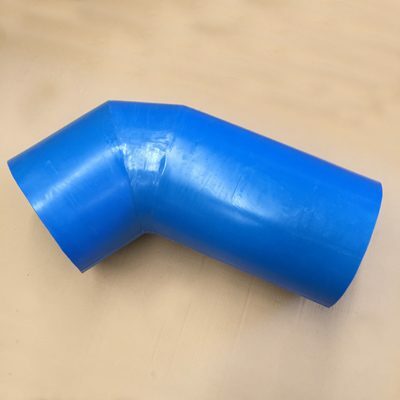 Used in conjunction with our 50mm Sliding Spigot. 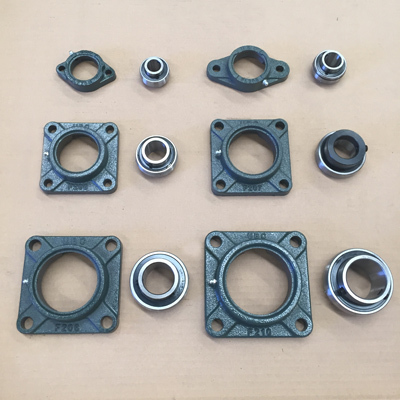 We stock a good range of standard self aligning bearing assemblies used in Agricultural Augers and can normally source less common items within a day or so. 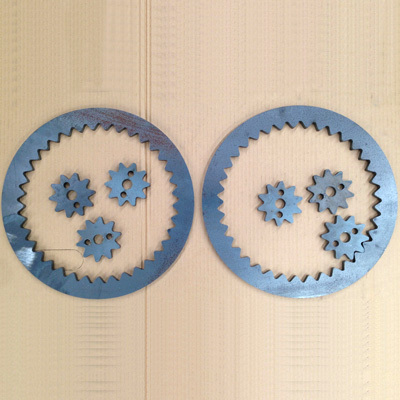 Most of the Sprockets and Pulleys we stock suit our augers but we quite often have other special sizes available. 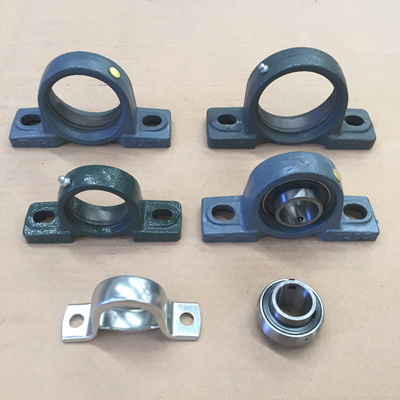 Cast housings allow the bearing to self align. 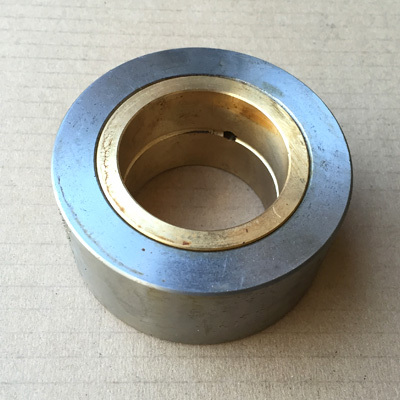 We supply both set screw & eccentric collar locking style bearings. 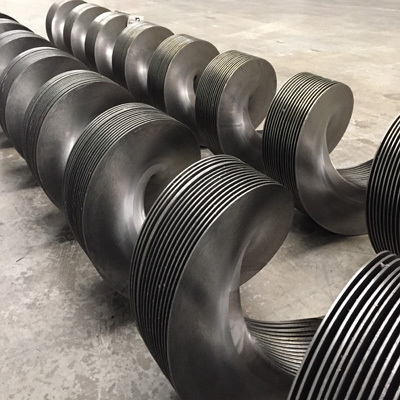 Used commonly on Pencil augers with motor assembly or where space is at a premium outside of the auger endplate. 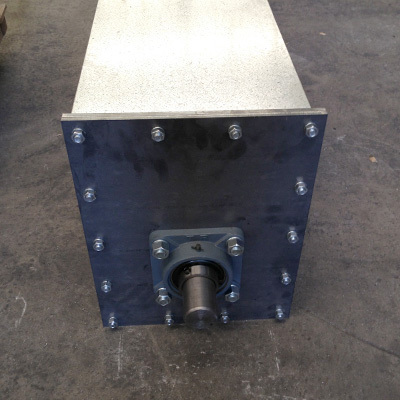 Self aligning Cast housings available in a variety of sizes. 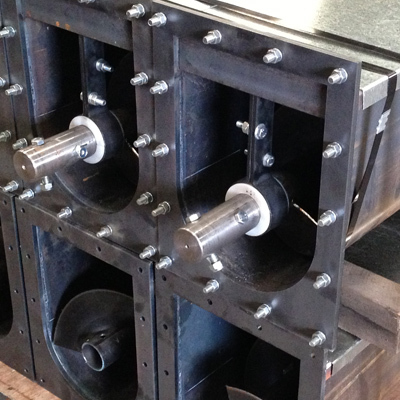 We also stock Pressed 205 Housings. 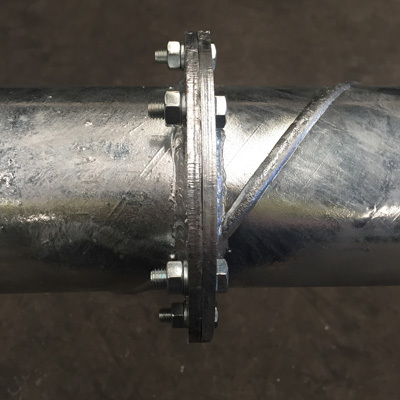 Cast self aligning housings with a threaded section for support arm. 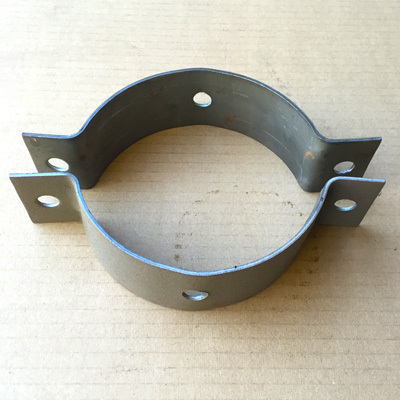 Perfect for supporting horizontal augers where switching out a bearing or bush is tricky. 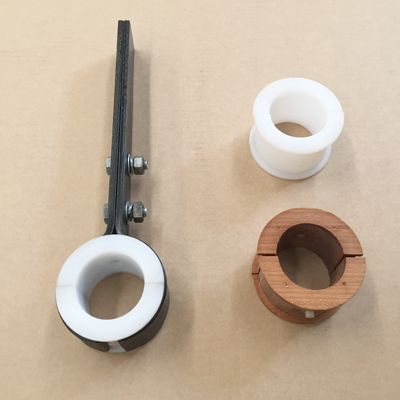 Available in 1″, 40mm, 50mm & 75mm UHMWPE or Oil Impregnated White Maple bush. 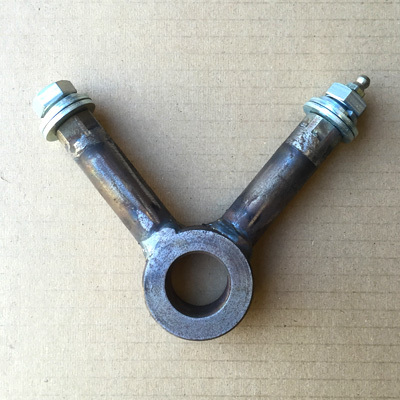 Assemblies are sold as Hanger arms only, Bush only or Complete unit. 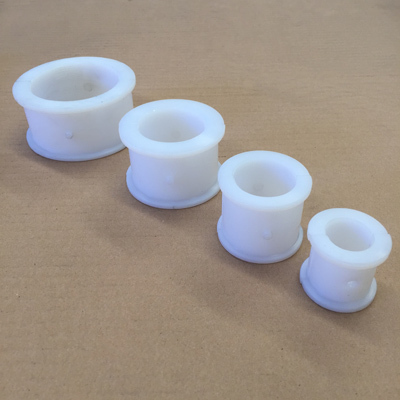 These replaceable bushes are made from ultra high molecular weight polyethylene and good for general wear conditions. 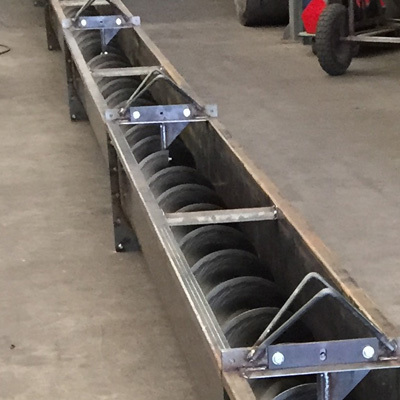 Example of use: Split Hanger Assemblies used in horizontal troughs to support & centralise the auger at 3m intervals. 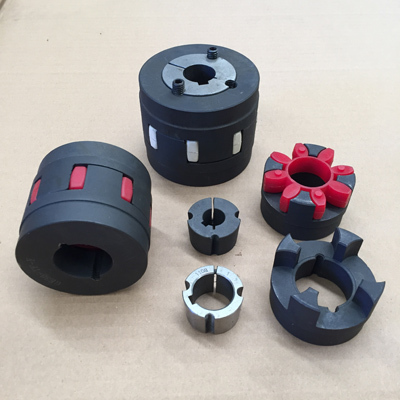 A flexible high torque coupling that can be used in various applications. 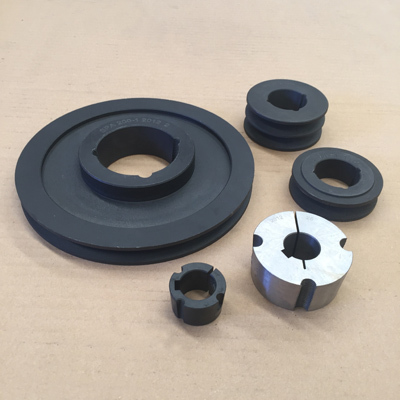 Used with taper lock bushes so drive sizes can be mixed & matched. Pictured with pilot hole. 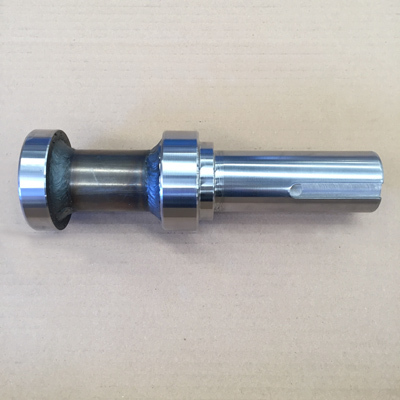 Both halves are Machined with internal keyway to suit drive shafts. 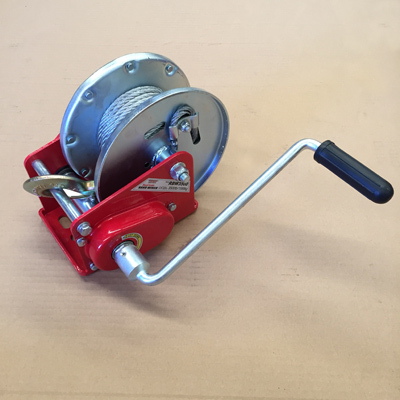 We stock various size Pulleys & Belts to suit our augers and can readily source special sizes. 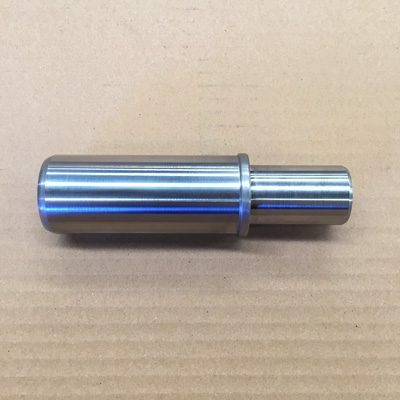 Taper Lock bushes are supplied to suit nominated drive size. 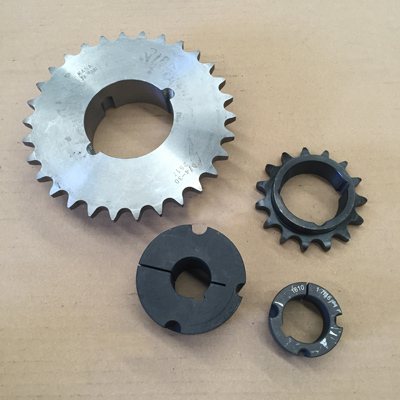 We stock replacement sprockets & Chain for our augers and source special items as required. 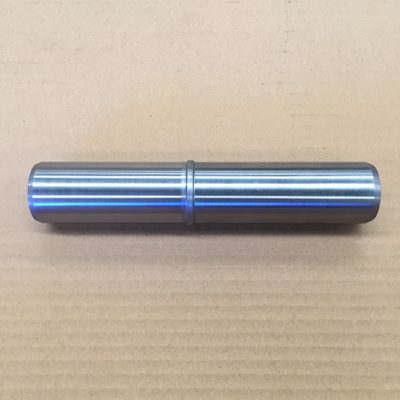 Taper Lock Bushes are supplied to suit nominated drive size. Hopper designed for use with pencil augers 4″ to 6″. Comes with straps. Cut out neck to suit barrel size. 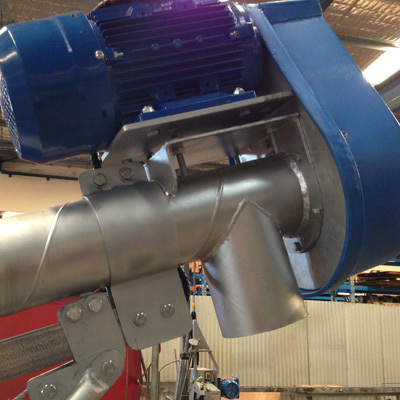 Example of use – 4″ Stainless Auger with Pencil Hopper & special Strapless Hopper fittings. 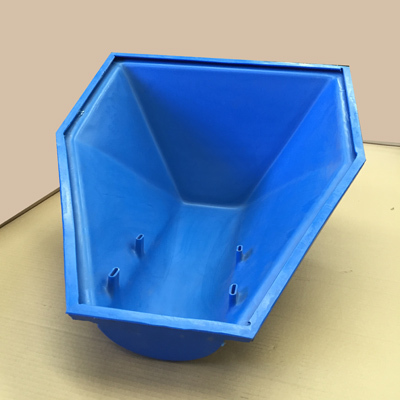 Example of use: Medium Hopper shown with our 9″ Whizitup Strapless Hopper Fittings. 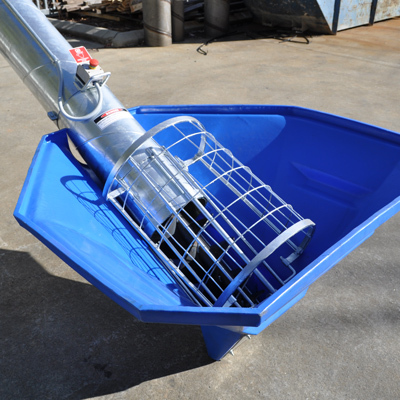 Example of use: Flexicoil Hopper with lockable rotating cage & hopper assembly. Designed to suit our 12″, 13″ & 15″ Barrel this shute is great for the end of field bin outload augers. Example of use: Shown on a 12″ Barrel. 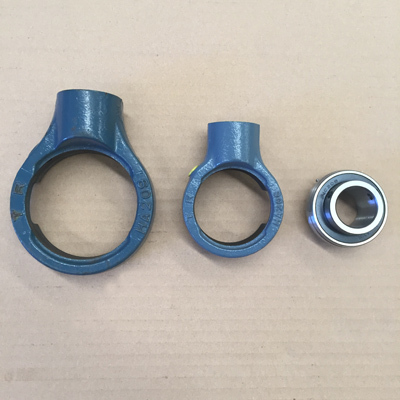 We can also supply laser cut Pillow Block bearing supports to suit our tube. 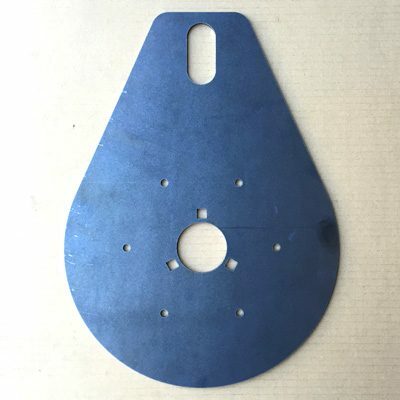 This hard poly cover matches our laser cut teardrop endplates and safely encases your chain/belt drive assembly. Example of use: Shown on our 9″ Whizitup Auger. Poly Belt Cover used on our Whizitup Brand Auger. Example of use: Shown on 9″ Whizitup. 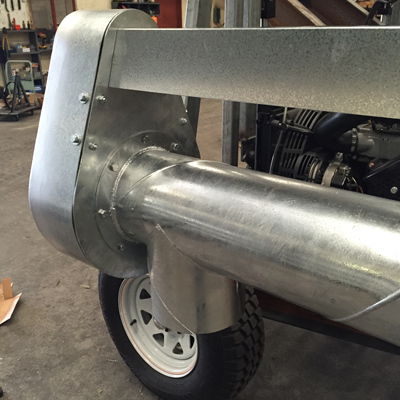 This is a 23L tank with quick release fittings, as used on our Whizitup Augers. 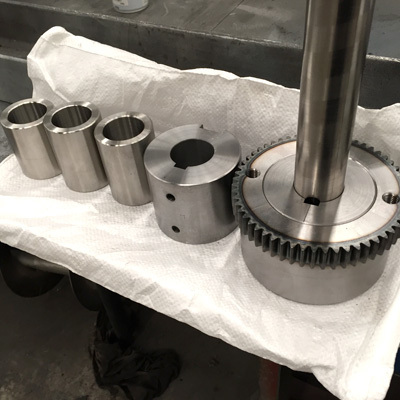 We have gearboxes manufactured to our requirements. 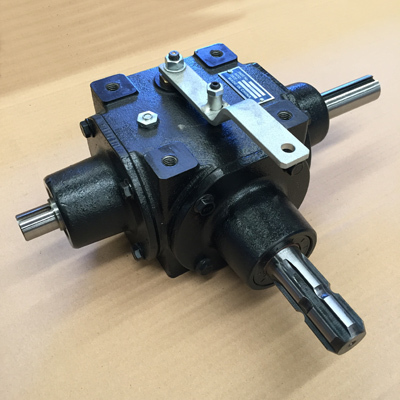 This gearbox includes a third small output shaft used to drive a hydraulic pump. Click here for specs. 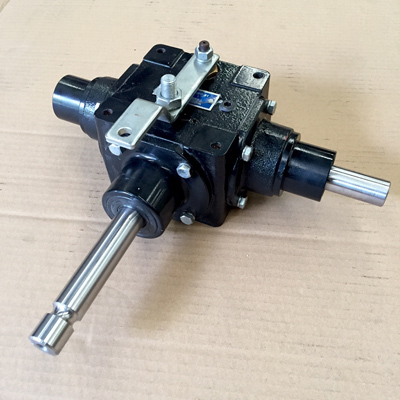 This 15hp Gearbox is manufactured with input and output only. Click here for specs. 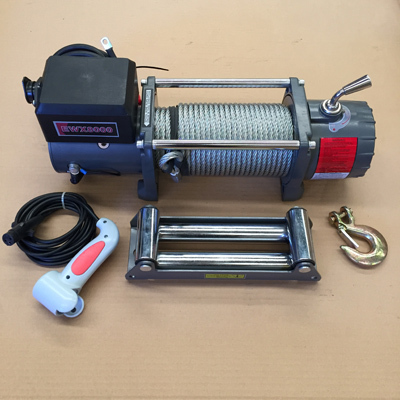 Runva brand Heavy duty electric winch. Click here for specs. ROCK brand Automatic brake hand winches. Available in 3 sizes: 1200lbs, 2000lbs & 3500lbs.